Sweden - a hot-bed of doom metal - have spawned another band determined to deliver monolithic slabs of heavy. 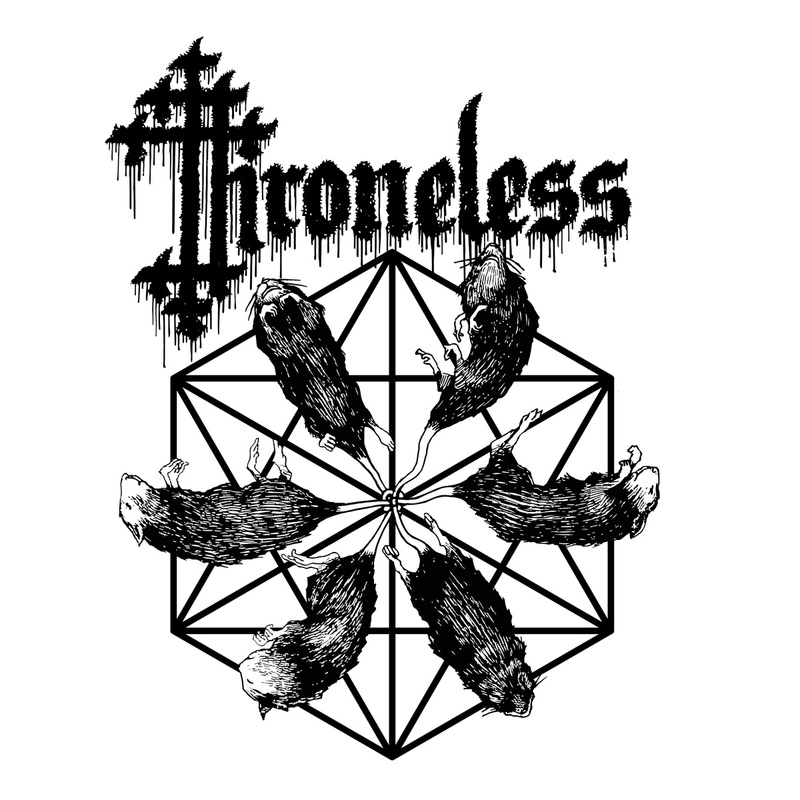 Throneless, a 3-piece who hail from Malmö, are the latest signing by Italian imprint Heavy Psyche Sounds whose roster includes Black Rainbows, Karma To Burn & Ape Machine. Their self-titled debut recorded by the band themselves features 4 tracks of slow BPM, head-banging, down-tuned drones, that leaves you hypnotised and beaten into submission by the sheer power of their sound. They’ve captured a real brooding menace that seeps its presence across every track, epitomised by the distant howls of the vocals. Like a long, dark, cold Scandinavian winter, there’s a gloomy shadow which casts long over this record. There are moments when I wanted to hear a bit more of the drop-out parts where the clean sounds build again to drown you in a huge wave of sound, but that’s a minor quibble. This is a solid debut which will earn Throneless fans into the likes of Ufomammut, Bongripper, Conan and Yob, and offers enough to suggest that they will explore new ground in the future for the genre. But it can’t get any heavier than this, can it...?